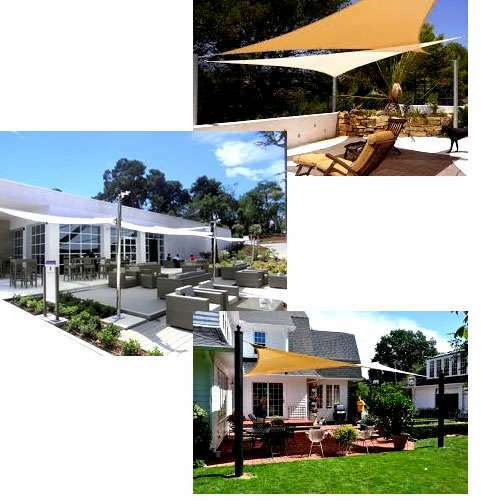 Custom Sun Sails (Sun Shades) and standard sized Sun Sails are very economical and an extremely easy way to shade your outdoor living areas. Also known as Sun Sails, they give your outdoor area a stylish and unique concept, due to their unique and symmetrical designs. They provide excellent protection from the sun and its harmful UV radiation at a modest cost compared to building a permanent structure.